Saildrone Forecast is an accurate, attractive, easy-to-use global forecast tool designed for outdoor athletes and adventurers. Get the information you need when you need it so you can train smarter and adventure better. 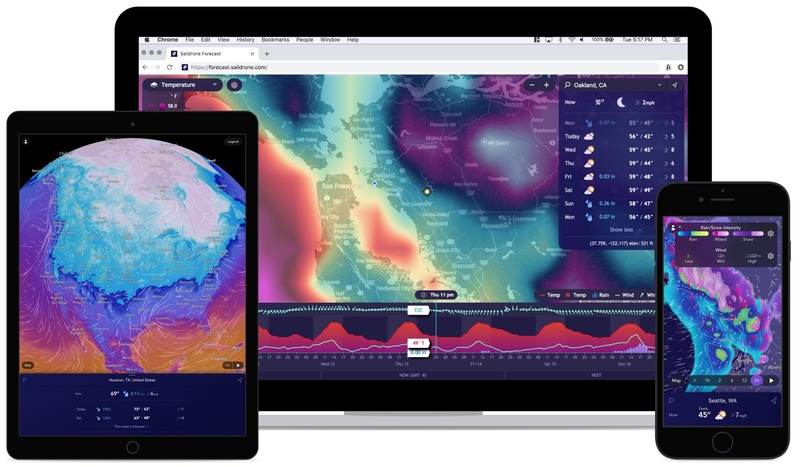 Get reliable, precise forecasts with HD weather; based on data trusted by elite athletes and scientists. See real-time, minute-by-minute forecasts for current and future conditions. Our fleet of saildrones continuously crisscrosses the planet collecting atmospheric and oceanographic data to power our forecast model unmatched by traditional inputs. From quick snapshots to detailed graphs and beautiful maps, you’re in control. 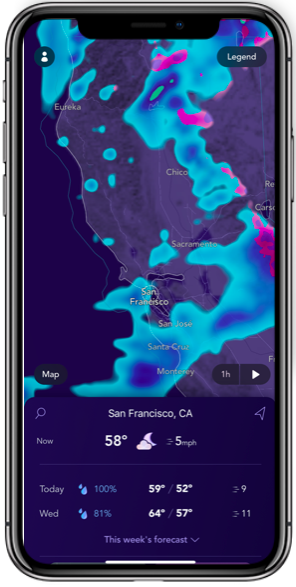 Quickly check the day’s forecast or dive deep into the advanced settings to customize how you see the world. Weather anything with activity-based insights. Know the best time and place for adventures from sea to summit. Gear up and get out with confidence. Get fresh and accurate (200-m) wind and tidal currents forecasts, so you can perform your best. 24/7 coverage with minute-by-minute visualizations and hourly graphs. Get temperature confidence down to the block-level with our Ultra HD model. It uses up to 750X more data points vs. standard models for the same sized area. Customize notifications to get only what you need to know. Save weather notifications for places you care about and control when you receive them. We will never sell your location or other personal data to third party companies or advertisers. Never, ever. We're 100% ad-free too.